Jobs Description: KPPSC Advertisement 01/2019 is given below in our site. Visit our site to check KPPSC Advertisement 01/2019. 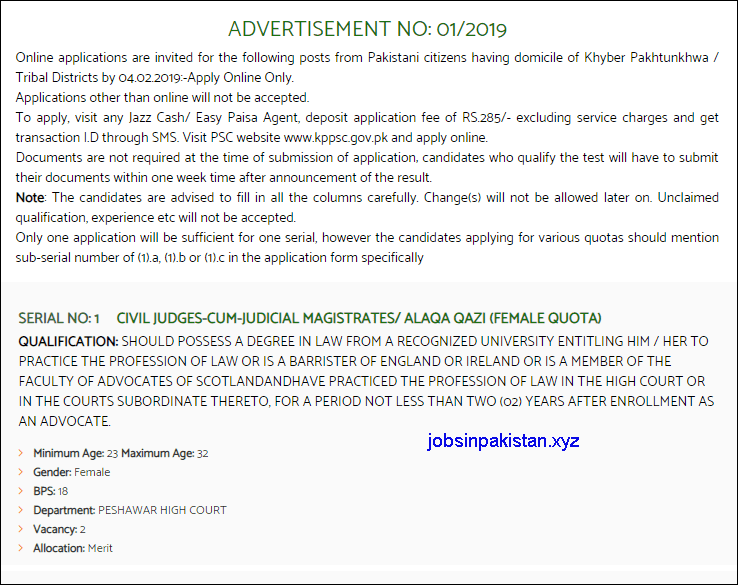 Khyber Pakhtunkhwa Public Service Commission recently announced an advertisement for Jobs in Peshawar High Court. Khyber Pakhtunkhwa Public Service Commission has required the applications for following jobs. 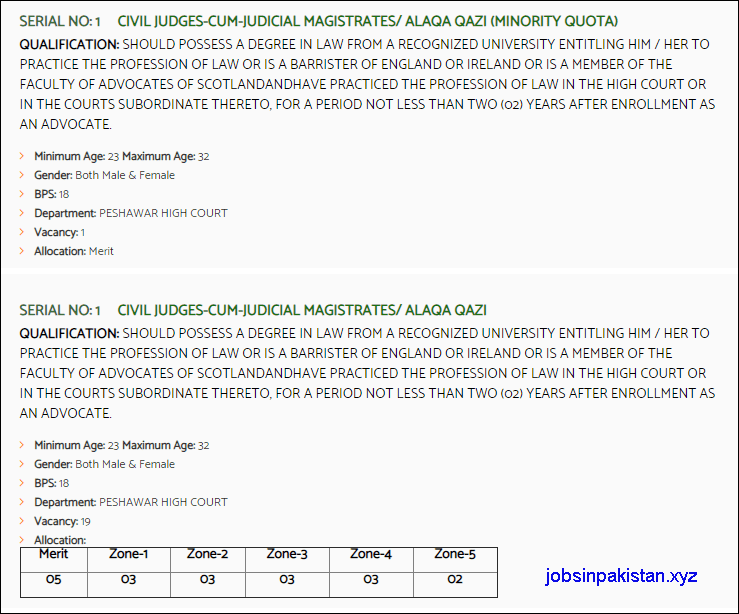 How To Apply: To apply, visit any nearest Jazz Cash / Easy Paisa Agent, and deposit application fee of RS. 285/. Visit KPPSC (Khyber Pakhtunkhwa Public Service Commission) official website for apply online.